We took some time to look at those people around us who are our "rocks" or our people who have our back, who care about us, who are always there for us, and who when we need them are there. I started by having the kids draw a rock and answer the question on it. That's right--pick a rock from my pile that I had written questions on. Who is someone you think "ROCKS"? What are the qualities of a rock? Are there things that can weigh you down like a rock? Who is someone that is your "ROCK"? What makes a person someone's "ROCK"? 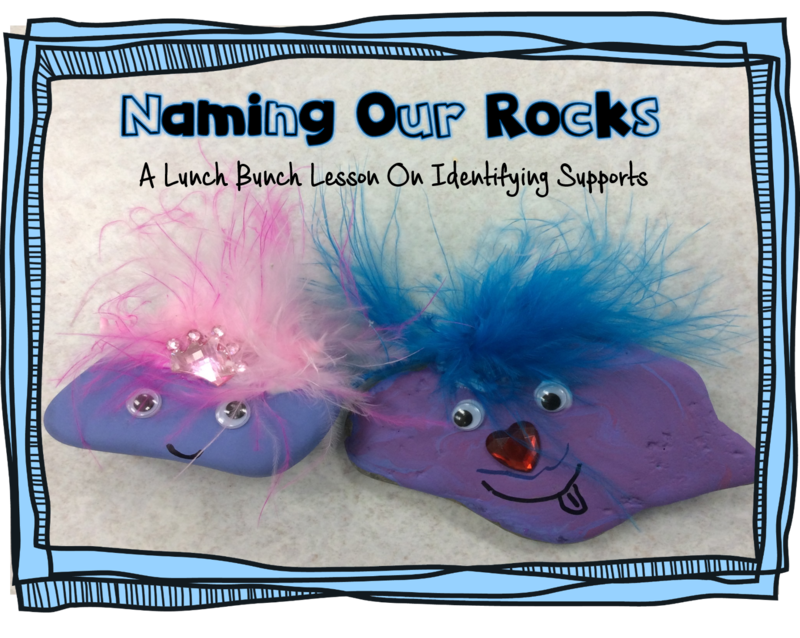 After our discussion, I gave them some paint and let them create a rock to give to the person they identified as being "their rock." I picked the rocks up from a local beach, and had the paints and googlie eyes in supply cupboard, so this was a cheap and easy project. For the hair, I used feather boas, which I cut into smaller pieces. Just one word of caution--do this after everyone is done eating, especially if it is spaghetti day. Feathers were everywhere!!!! What do you think of our rocks? 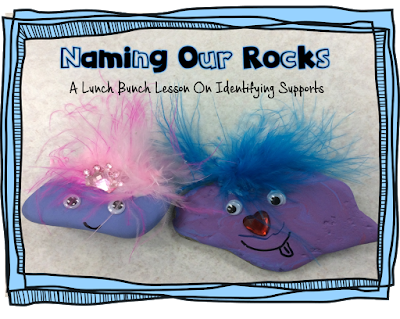 Have a great idea for a lunch bunch project? Let me know. Leave a comment below or share it with a group below! Is this a one time group meeting or over several sessions? Love the rocks! They are so cute!!! Carol Lawson Miller ROCKS the lunch bunch! It actually took 2 times because I wanted the paint to really dry before they glued on the eyes and hair.